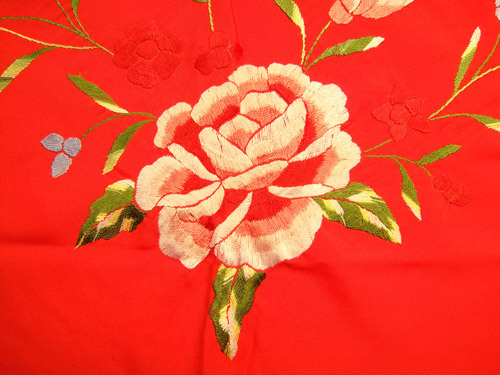 Pico Flamenco Shawl from Spain. COLOR: Red Background, colorful flowers. Size:22x44 plus 11 inch fringes.